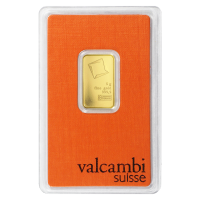 Bestellen Sie Ihre 1 oz Goldmedaille - Zi Sin Gallus 2017 zum besten Preis in unserem Onlineshop. This is the very first edition in KOMSCO's new ZI:SIN series, which features the twelve fearsome guardians of the directions. The reverse feature is a staggeringly artful depiction of Gallus, the messenger of light, as bright as the sun, his weapon readied for battle against the forces of destruction. This detailed effigy is set on a contrasting, rugged field and the reverse is adorned only with one other inscription, the name of the coin. 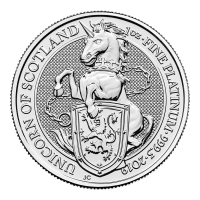 On the obverse, you'll find the shield of the mighty warrior god, Chiwoo Cheonwang, who we became familiar with through KOMSCO's series in his honour. 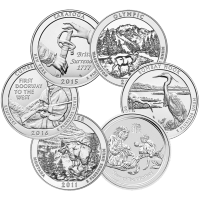 This detailed image is joined on the obverse field by a latent security feature and KOMSCO's logo; it is encapsulated in details bearing the Korean legend, the weight, purity and metal content and, finally, the rounds unique denominational value. The shield of Chiwoo Cheonwang features the head of Doggaebi, used on flags and talismans to ward of evil spirits. 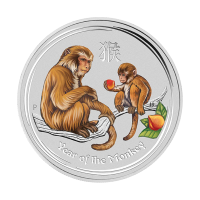 Celebrate the guardians and Chiwoo Cheonwang; diversify your portfolio with this 1 oz 2017 Zi Sin Gallus gold round today! Vorderseite Gallus, der Bote des Lichts, in kampfbereiter Pose. Gallus, der Bote des Lichts, in kampfbereiter Pose. 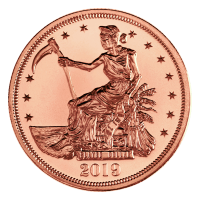 1 oz Goldmedaille - Zi Sin Gallus 2017 Bestellen Sie Ihre 1 oz Goldmedaille - Zi Sin Gallus 2017 zum besten Preis in unserem Onlineshop. 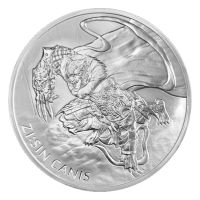 This is the very first edition in KOMSCO's new ZI:SIN series, which features the twelve fearsome guardians of the directions. The reverse feature is a staggeringly artful depiction of Gallus, the messenger of light, as bright as the sun, his weapon readied for battle against the forces of destruction. This detailed effigy is set on a contrasting, rugged field and the reverse is adorned only with one other inscription, the name of the coin. 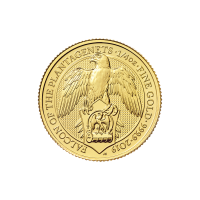 On the obverse, you'll find the shield of the mighty warrior god, Chiwoo Cheonwang, who we became familiar with through KOMSCO's series in his honour. This detailed image is joined on the obverse field by a latent security feature and KOMSCO's logo; it is encapsulated in details bearing the Korean legend, the weight, purity and metal content and, finally, the rounds unique denominational value. The shield of Chiwoo Cheonwang features the head of Doggaebi, used on flags and talismans to ward of evil spirits. 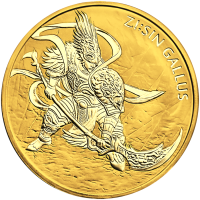 Celebrate the guardians and Chiwoo Cheonwang; diversify your portfolio with this 1 oz 2017 Zi Sin Gallus gold round today!